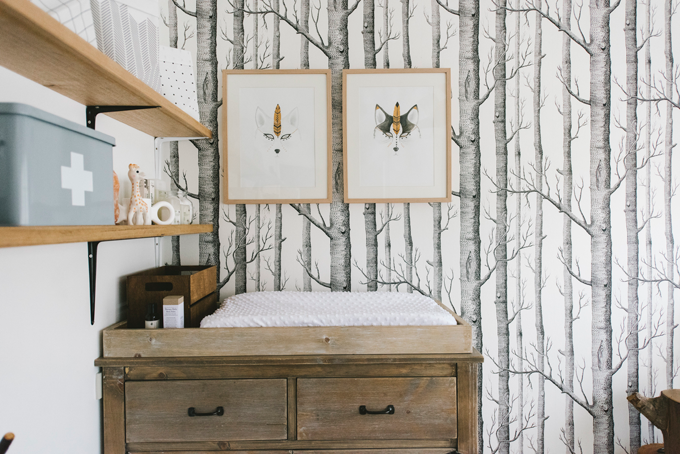 Cole&Son “Woods” wallpaper are probably the most universal wallpaper which I have ever seen. 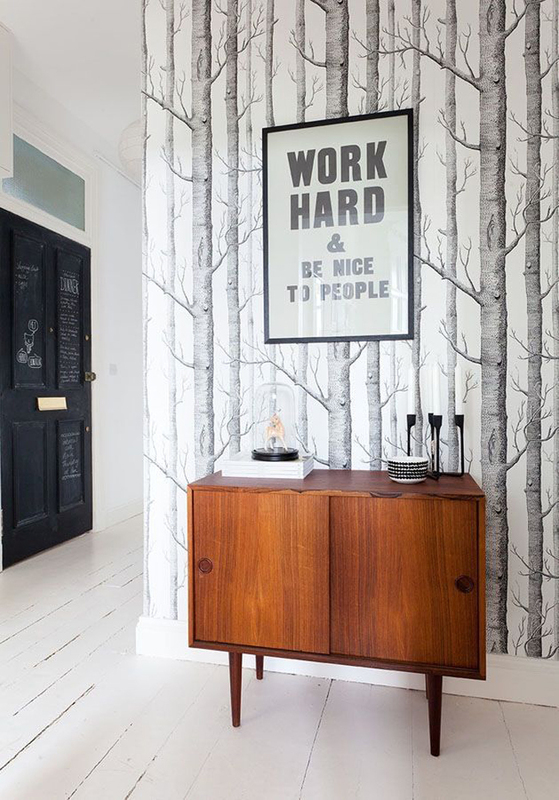 Cole&Son “Woods” wallpaper are probably the most universal wallpaper which I have ever seen. 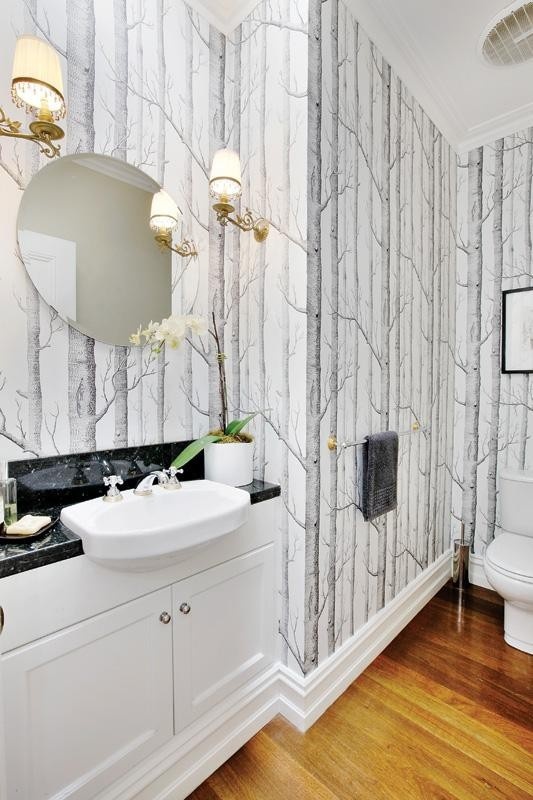 They fit practically in any style and any purpose room and I believe that they will never go out of trend. 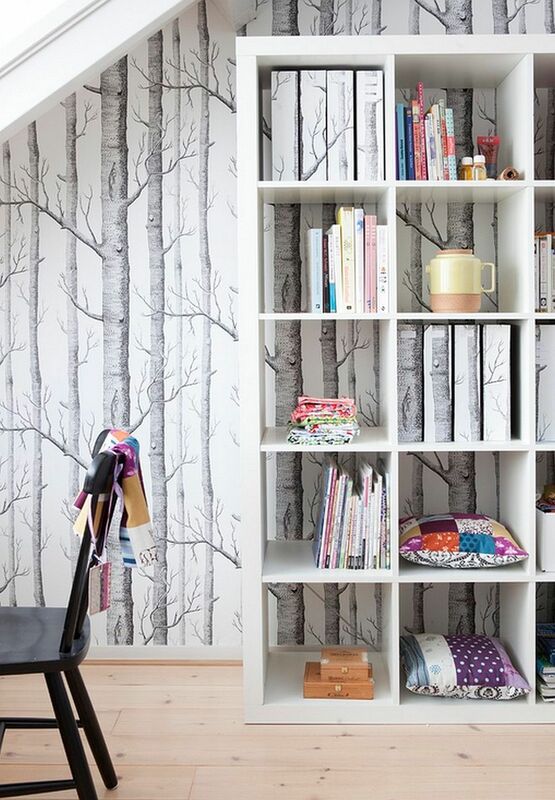 The examples perfectly show this. 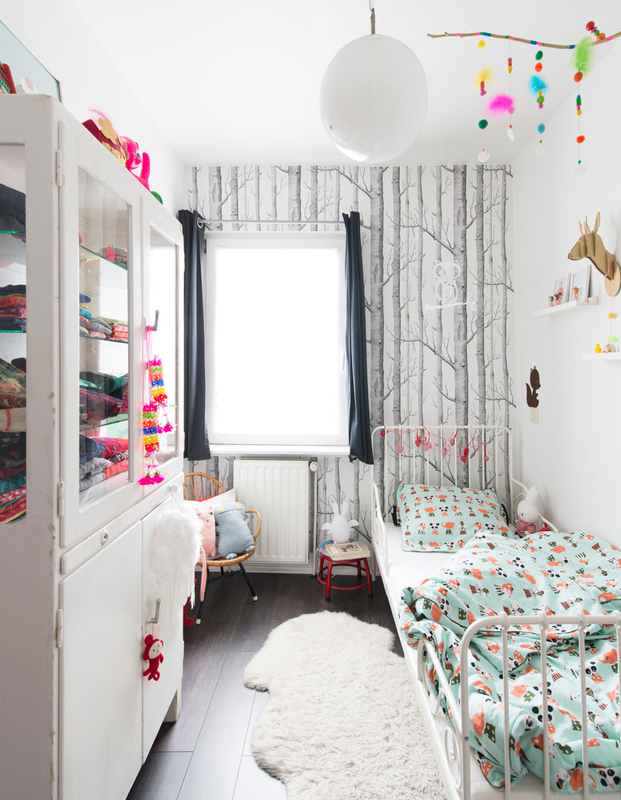 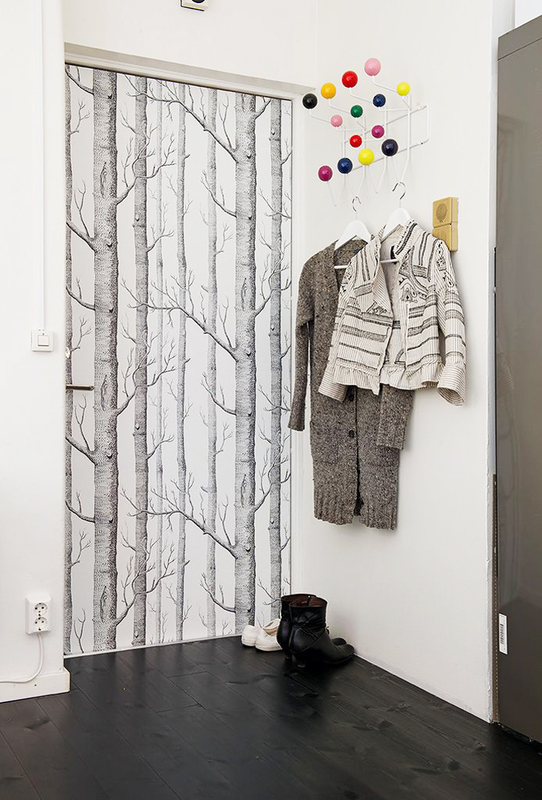 These graphic trees wonderfully fit in Scandinavian style interiors and bedrooms even though you’ll see that they’re used in other spaces, too (even on the door). 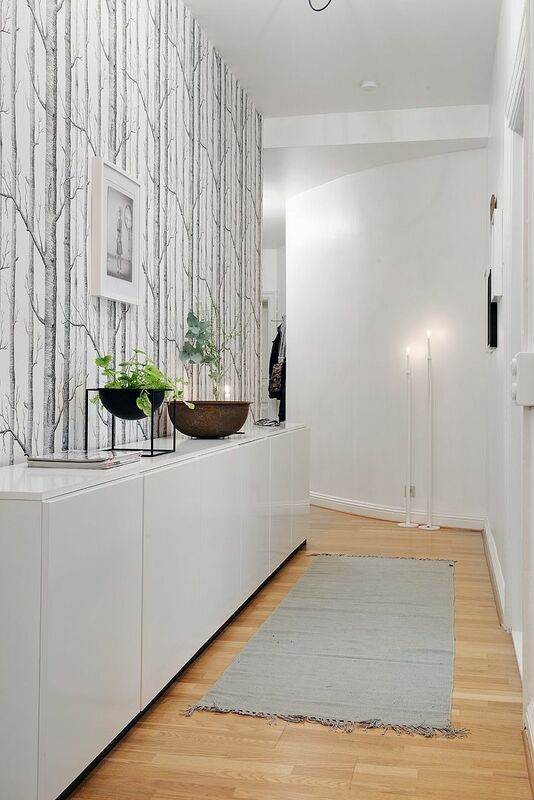 That’s a perfect way to give some vividness, dynamics and depth to the space and their white background with the colour black of wood let combine all the rest of the colours. 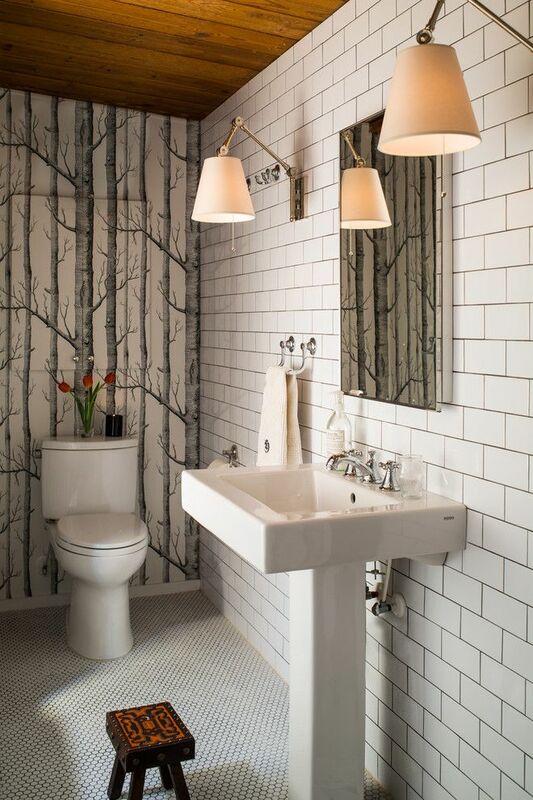 Michael Clark, the designer of these wallpaper, created them in 1959. 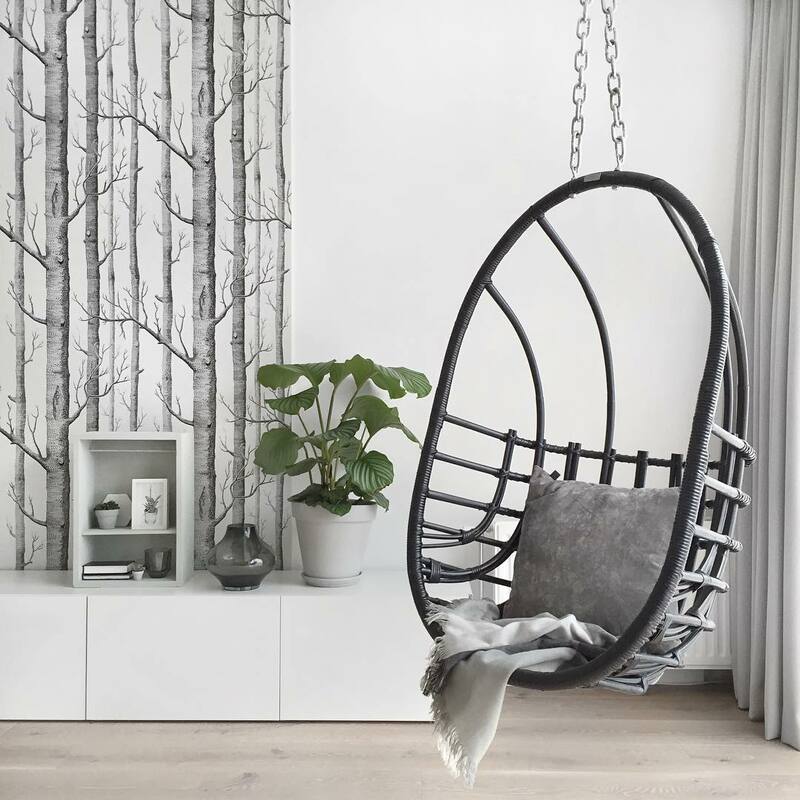 Different colours are possible: blue/white, of light purple shades, golden/terracotta, dark grey and silver, and, of course, classical black/white. 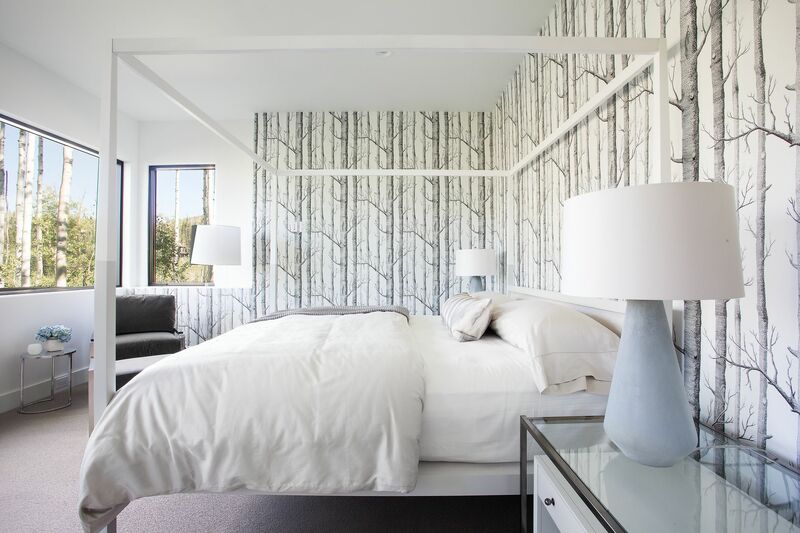 I’m sharing the photos of black/white wallpaper in this article. 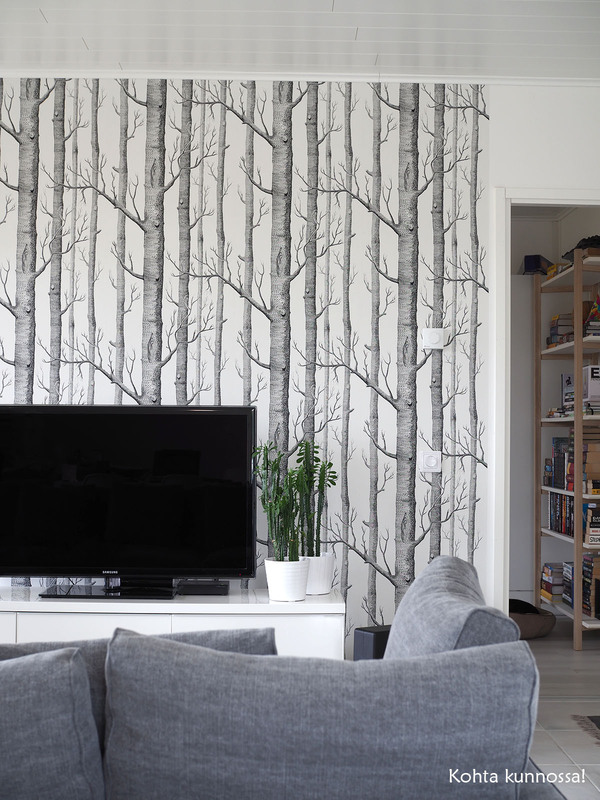 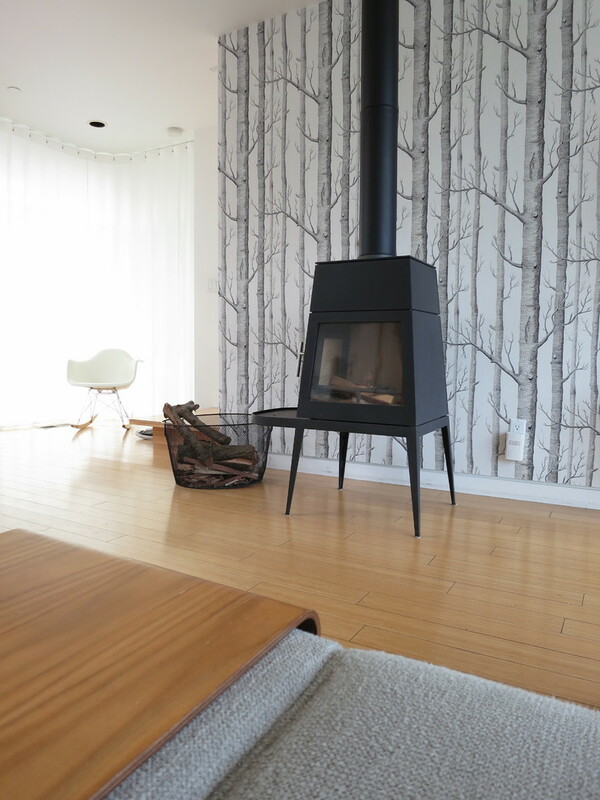 The wallpaper perfectly look not only on empty walls but also in the TV or fireplace zones. 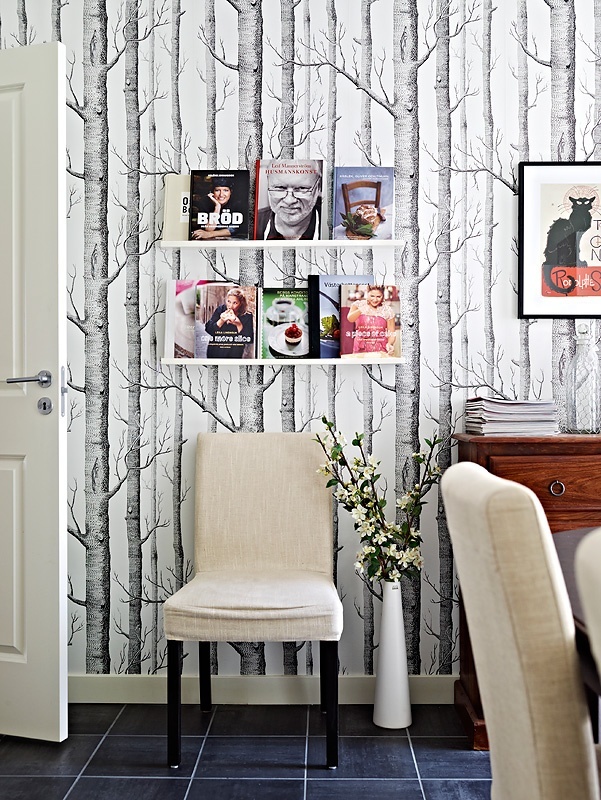 Probably you’ll not find any other better photo – the trees are not only in the room but also over the window! 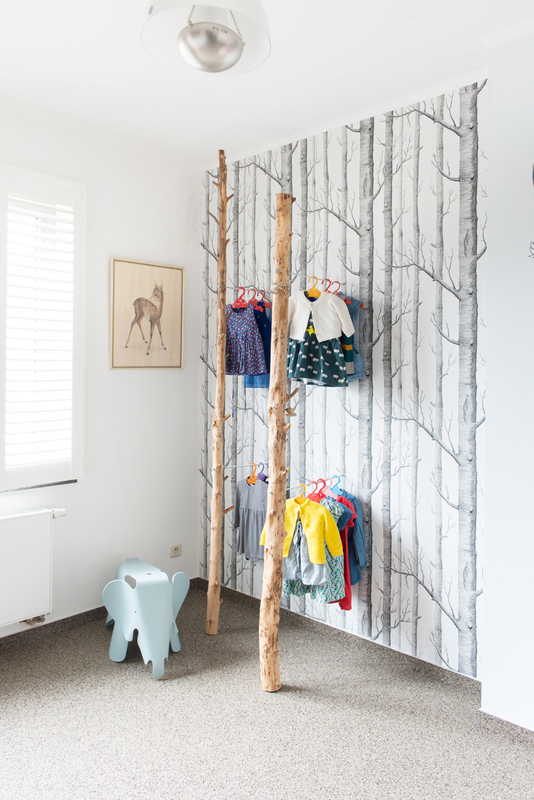 That’s one of the best solutions in children’s room because it fits for a child as well as for a teenager and it also fits to any gender. 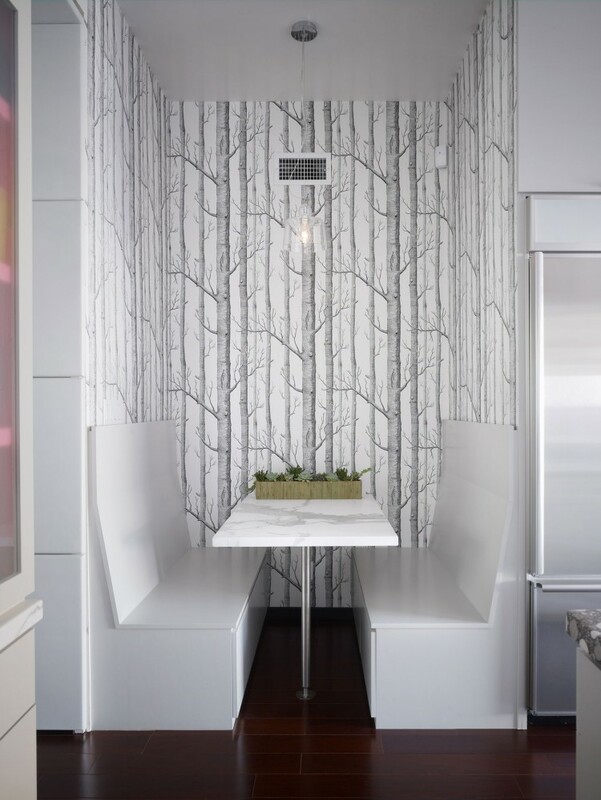 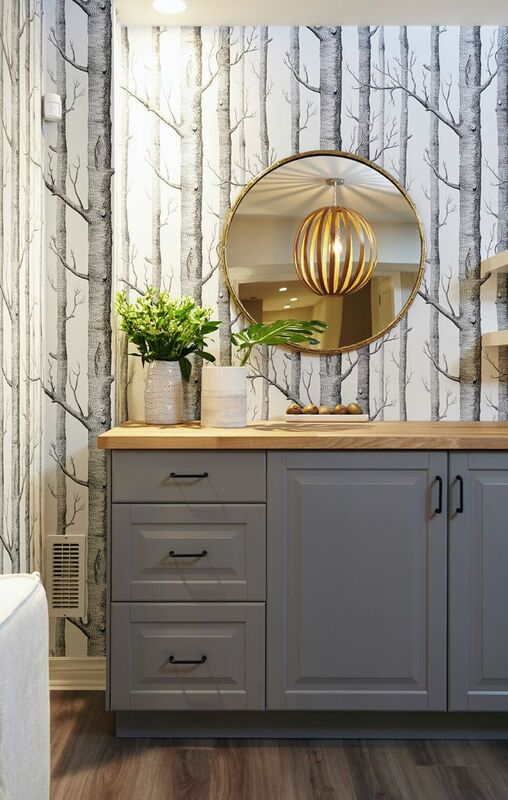 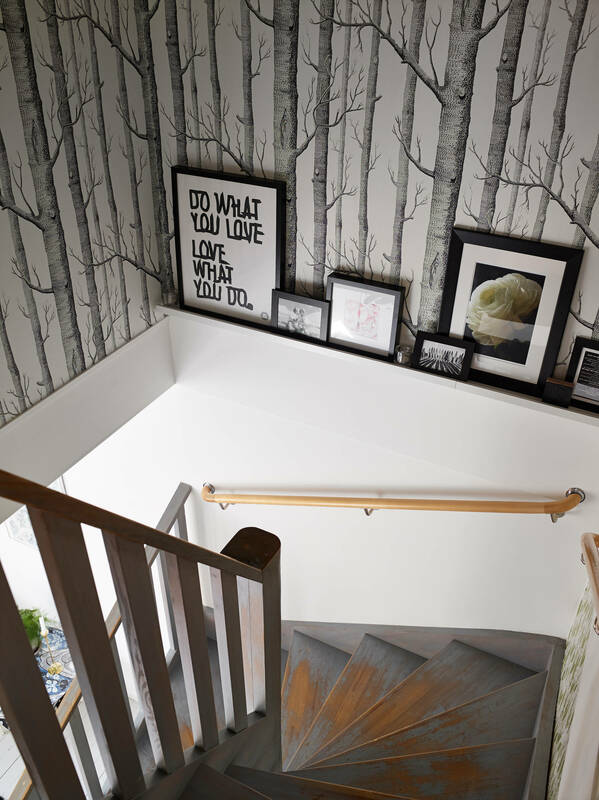 You can use “Woods” wallpaper in a work zone, in a corridor, to decorate the staircase or even on the door!